Dear Applicants, Union Public Service Commission is going to organize CDS II Examination on 19th November 2017. Applicants who have applied online form for Combined Defence Service Exam (414 Vacancy) can download your UPSC CDS Admit Card 2017 from here by help of Registration ID & Password. CDS 2017 Admit Card will release 10 days before examination on official website. In this Article, we are providing direct link to print/ Download UPSC Admit Card 2017 For CDS 2 Exam, which is mention below. About UPSC & CDS Exam : UPSC is also known as Union Public Service Commission. Department conducts Combined Defence Service Exam twice in a year in the month of February & November approx. Now, CDS II Examination is going to held in the month of November 2017. Appliers, here you can check details about Exam Schedule, UPSC CDS Admit Card & Pattern of Examination. By reading this article you can check full information about Combined Defence Service Examination (II) & UPSC Admit Card 2017. Latest News as on 10.01.2018 : UPSC has now issued CDS 1 Exam Admit Card. Candidates can download UPSC CDS Admit Card 2108 for CDS 1 Exam from here, link is shown below. What is the CDS 2 Examination Date & When Will UPSC Release CDS Admit Card 2017 ? 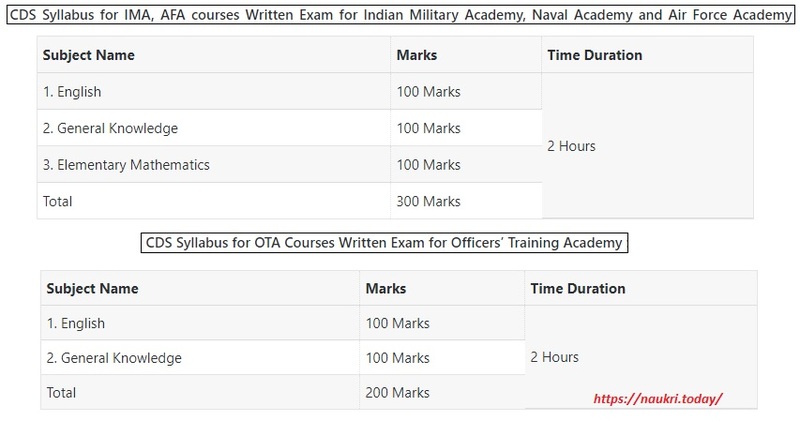 How I Check Selection Criteria, Exam Pattern for UPSC CDS II Examination ? What is the Importance of UPSC Exam Admit Card 2017, Required Documents to carry with Permission Letter ? Union public Service Commission has issued CDS 2 Exam Notification of 414 Vacancy on 09.08.2017. Submission of Online Application for UPSC Recruitment started from 09.08.2017. Closing date for submit online form for 414 Vacancy is 08.09.2017. After Completion of Registration department call eligible candidates for Online Written Examination. which will held on 19.11.2017. Those applicants who have filled form for CDS II Exam can download your UPSC CDS Admit Card 2017 from here by using registration ID & password. If you want to get more information about Process of Downloading UPSC Admit Card /CDS 2017 Call Letter , Exam Procedure etc. then read the below article. Selection of the applicants for UPSC CDS Vacancy 2017 will based on Written Examination & Personal Interview. Final Selection of the candidates will made on the basis of Marks obtain in Written Exam & Interview. pattern of Examination for CDS Exam is shown in below para. Applicants who are preparing for examination can also check UPSC CDS 2 Exam Syllabus from here for better Exam Preparation. According to Department Exam Scheme, written Exam will be objective type in nature. There will be negative marking in examination. CDs Exam will divided in to two Parts. Exam for IMA & IFA Course, which contain Question of total 300 Marks & Exam for OTA Course will contain question of 200 Marks. rest of Exam Pattern you can check from below image. Exam Description is also mention on your CDS 2017 Call Letter/ UPSC Admit Card. Department will conduct online Written Examination for CDS Exam on 19th November 2017. Exam will be held on 41 Various Cities of India. List of Examination cities is shown in below section. Applicants you can check full exam center details like Institute Name, District & Other which will mention your UPSC CDS Admit card 2017. So, First download CDS Hall Ticket 2017 & then check all details from it. Those applicants who want to download UPSC Admit Card 2017 For Combined Defence Service (II) Exam should follow the given steps. If you don’t know “How to Print CDS 2017 Admit Card ? ?” then these below steps is very helpful for you. First of all candidates read all steps properly & Follow it while Downloading UPSC CDS Call letter 2017. Firstly, candidates log on to the department website www.upsc.gov.in. Now Click on ADMIT CARD Section. Then Click on the link of UPSC Combined Defence Service (II) Exam Admit Card 2017. Fill all required information in form like Application ID, DOB/ Password. Now your UPSC CDS 2017 Admit Card shown on screen. Check All details from it & Download upsc.gov.in admit card for future use. Conclusion :- UPSC CDS Admit Card 2017 for 414 Vacancies. Eligible candidates can download CDS 2017 UPSC Admit Card from here before the examination date. Combined Defence Service Exam is going to held on 19th November 2017.